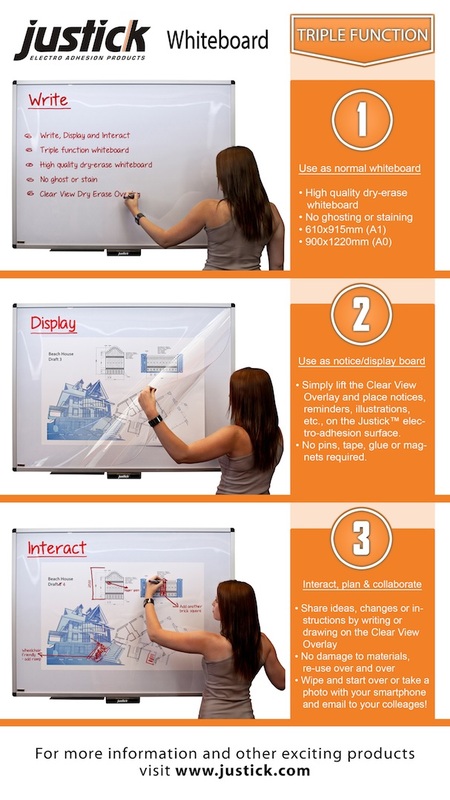 With this triple function whiteboard you can write, display and interact. 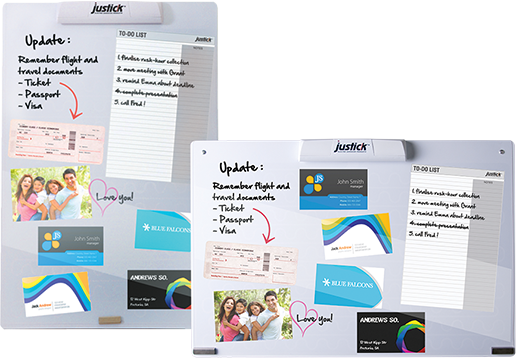 Firstly, use it as a high quality dry-erase whiteboard that will not ghost or stain. 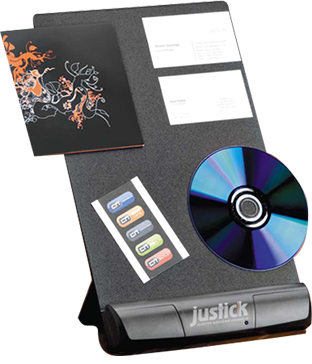 Secondly, lift the Clearview dry-erase Overlay and place notices, reminders, illustrations, Justick™ Templates or training materials on the Justick white surface. 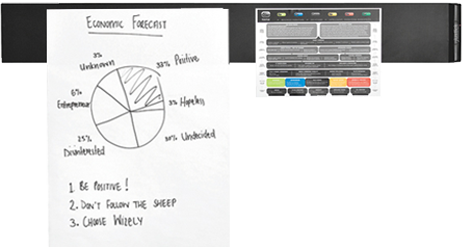 Thirdly, use a whiteboard marker to interact and illustrate your instructions and concepts without marking the original items. 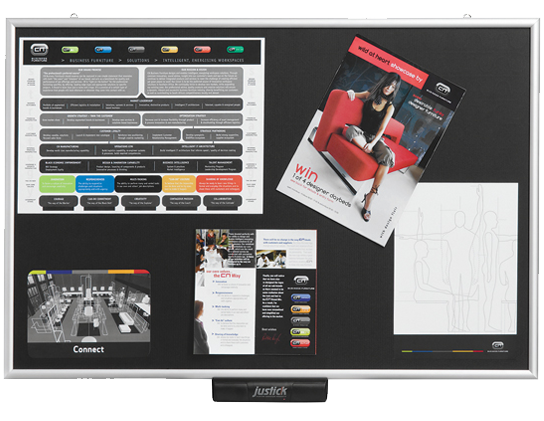 The ultimate collaboration tool. 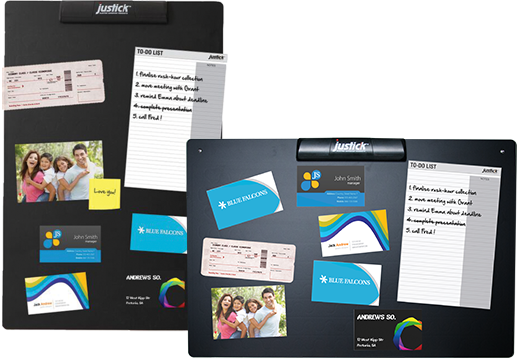 The Justick Mini is the ultimate bulletin/notice board for easily displaying notes, reminders, to-do lists, photos, shopping lists, business cards and much more. 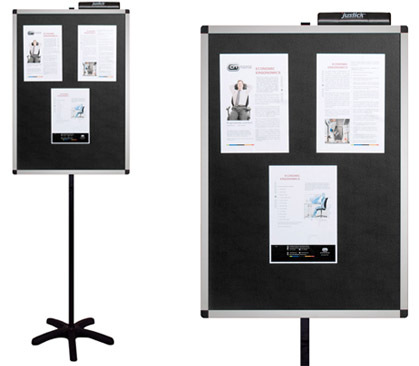 With this triple function blackboard you can write, display and interact. 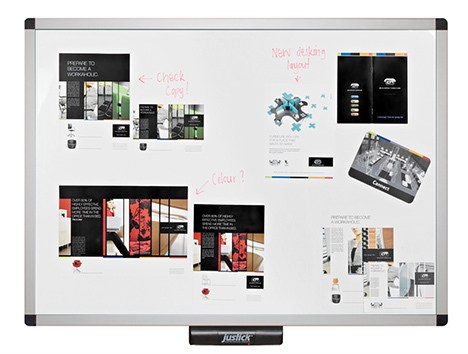 Firstly, use it as a high quality dry-erase whiteboard that will not ghost or stain. 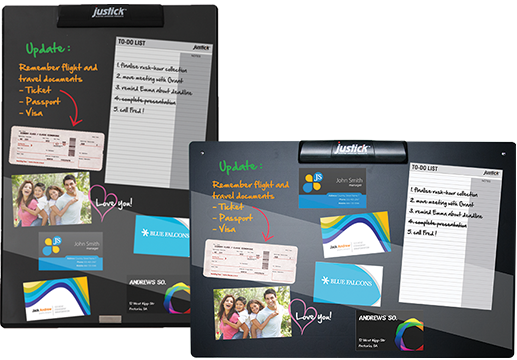 Secondly, lift the Clearview dry-erase Overlay and place notices, reminders, illustrations, Justick™ Templates or training materials on the Justick white surface. 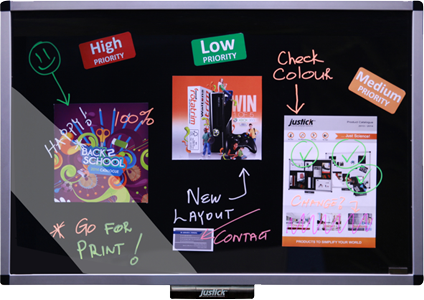 Thirdly, use a whiteboard marker to interact and illustrate your instructions and concepts without marking the original items. 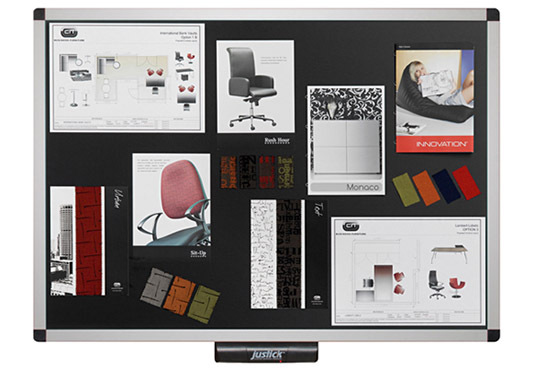 The ultimate collaboration tool. 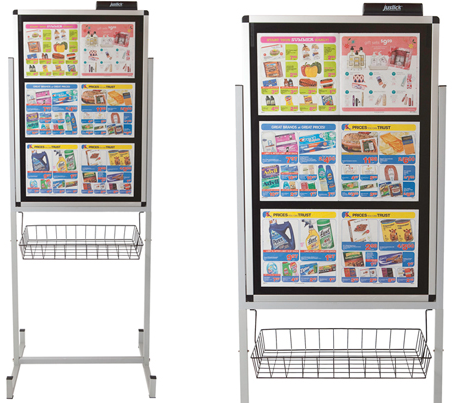 An easy to carry, mobile, high quality, easy to assemble, display stand. 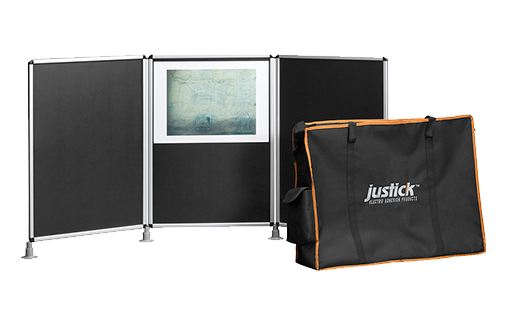 Quick-fold Justick™ panels combine to provide the perfect trade show display tool. Includes carry bag.